T.G.I.F. Thank God it's Fall. 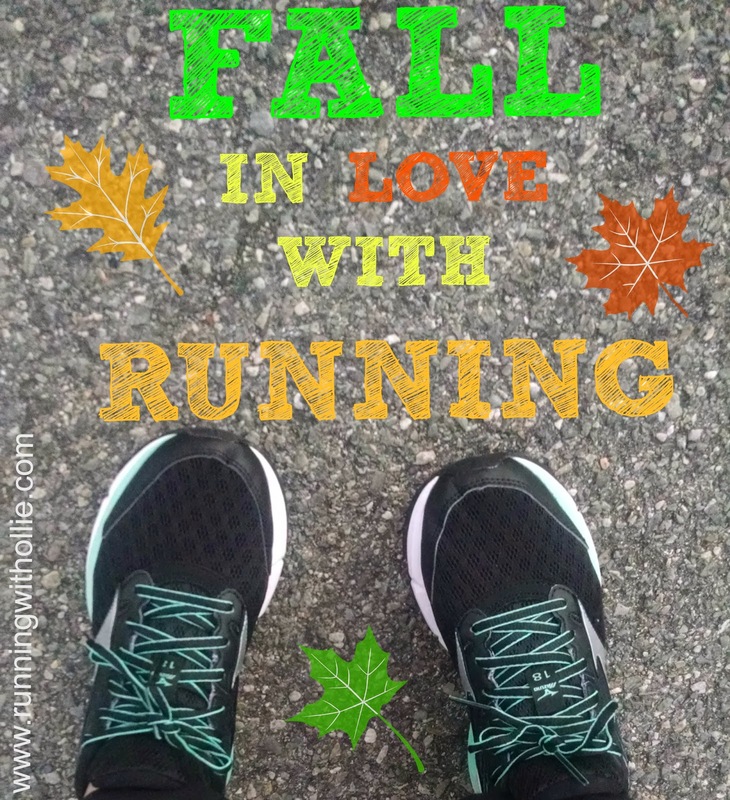 I don't know about you, but for the past few months I've drudged through the hot Texas summer runs and counted down the days until the most wonderful time of the year, Fall Running Season!! It's finally here! Just as the trees shed their leaves, autumn feels like the perfect opportunity to shed our bad habits, our negative thinking, and just succumb to the pull of the pavement. Now that the temperature finally dropped a bit, I've started getting serious with my training for the Dallas half marathon in December. The opportunity to work on the Mizuno campaign for FItFluential couldn't have come at a better time. There is nothing more motivating than a new pair of running shoes. I've been a fan of Mizuno for a long time. Over the years, I've found that choosing a running shoe is more of an art than a science. You just have to find the brand and shoe that works for your unique running style. After some trial and error trail I've learned that Mizuno is my brand. 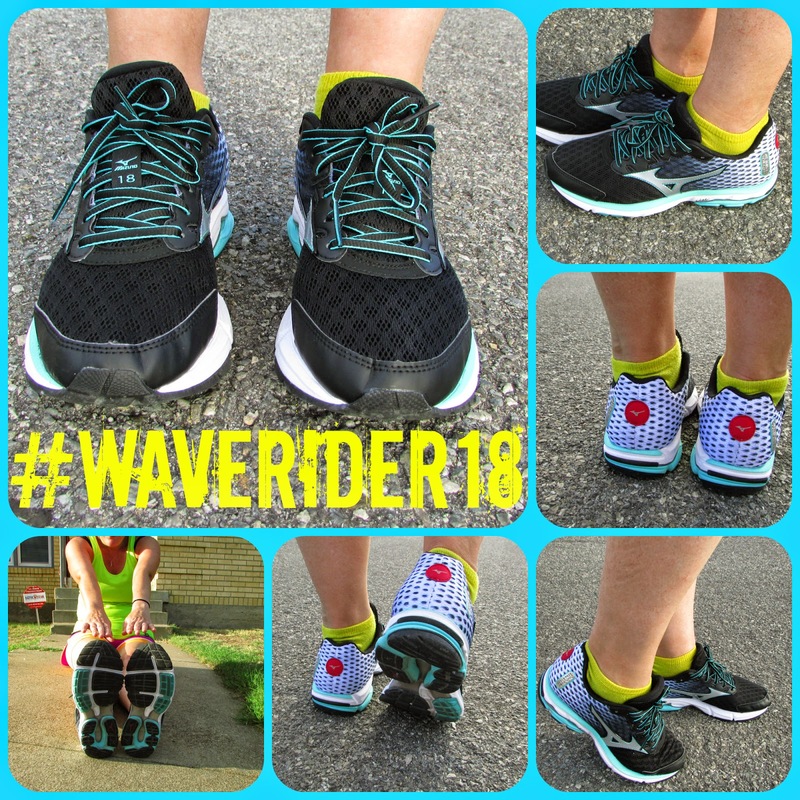 I loved the Wave Rider 17 last year and was excited to try to the newest model, the Wave Rider 18. 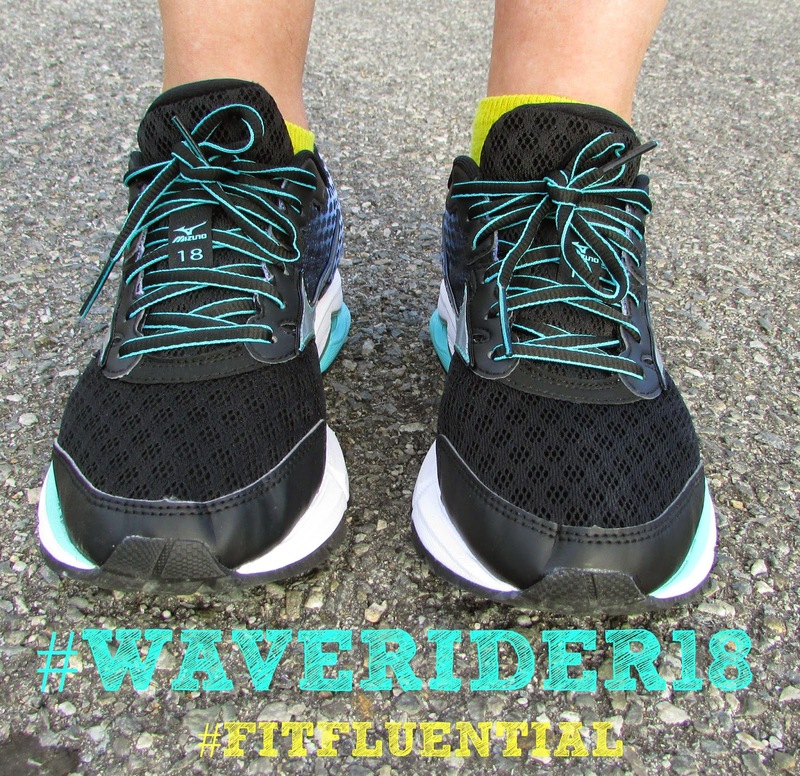 The day my Wave Rider 18 running shoes arrived, the weather was perfectly autumn-like and the streets were beckoning. I laced up my shoes, strapped on my GPS watch, and plugged in my headphones. It was a long day and I was ready to take it out on the pavement. Let's take these puppies for a ride! I had been running in these other shoes that felt heavy, so I immediately noticed (or should I say, didn't notice) the lightweight of the Mizuno's. They were smooth and comfortable and I barely thought about them on my run. At just 7.8 oz they are very light and flexible. I'm a neutral runner who prefers just a little bit of support in my running shoes. If I have too little support it feels like the pavement is pounding back, and too much I feel like I am running with two bricks tied to my feet. Mizuno has found the perfect balance of light and responsive, with just the right amount of support. Mizuno Wave Rider 18 is a great choice for a neutral runner like me. You can learn more about the Mizuno Wave Rider 18 at www.mizunorunning.com. There is something in the air. It's autumn, the season of change. The weather changes, the leaves change and it has me thinking about the transformational power of running. Mizuno celebrates the Japanese concept of "Hado" which includes harnessing the transformational power of every run. Transformation comes in many forms. Of course, there is physical transformation that can occur from running, but I am talking about more of an inner renewal. 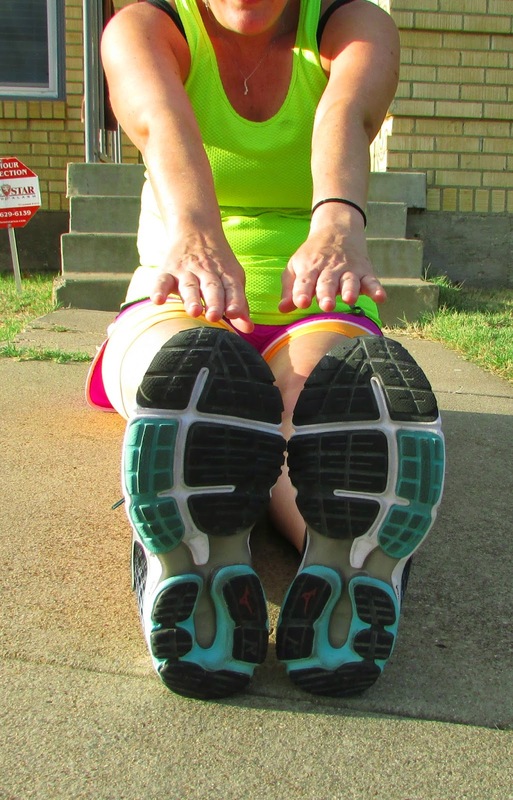 There is a daily transformation that occurs when I lace up my favorite running shoes and hit the pavement. I run to untangle those messy thoughts from the day. I run-out a bad mood, or a bad day. I run-off negatively and self-doubt. I can return from a 30 minute run feeling like a brand new person. My problems don't go away when I run, they just become a little less persistent after a sweaty street-therapy session. Running shoes can certainly change your day, but can they change your life? Well, first you have to run in them. Then little things happen, barely noticeable at first, and overtime you just may realize you have become a new person. No one ever said running was easy, and if they did, they were lying. Running is hard (and if it gets too easy, you're probably not pushing yourself hard enough). Running rewards you when you don't give up, when you push through laziness, feeling tired, and uncomfortable. You learn pretty quickly that you get back from running exactly what you put in. You learn to fight through the miles. Running is an individual sport, but it harnesses a spirit of community. You cheer for other runners. You high-five strangers at races. 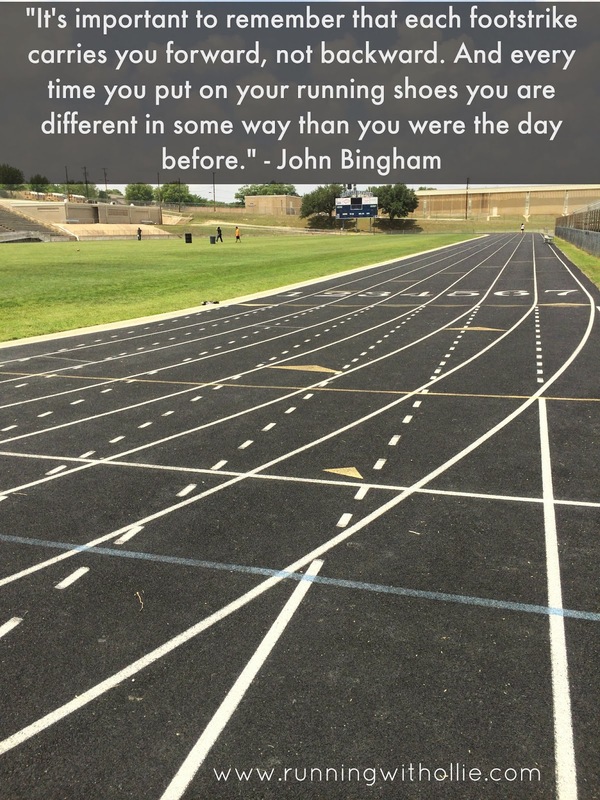 You encourage the new runner at the track. You give a nod to the runner at the stop sign. Why? Because as runners, we understand each other. We've all been beginners. We've all had bad training runs and probably great races. We intimately know runner's high and injured lows. Runners we don't know aren't strangers, they are running friends we haven't met yet. Coming from a self-proclaimed introvert, this is a huge transformation! You learned to love hills. You love conquering them and especially the victory run down the other side. You're up for a challenge! You never thought you'd say that not only do you run hills, but you seek them out. You're ready for the next challenge. When you started running, your goal was probably to make it to the end of the street without dying. When you lived through it, you eventually decided to run a 5K, then a 10K, and then probably a half marathon and beyond. You learned that if you set goals, and then put in the work, then almost anything is possible. You realize power within. If you've run for almost any amount of time, you've probably come face to face with a running setback. Maybe it was an injury that left you sidelined, maybe it was a DNF at a race, or a long run cut short, but we all know what it feels like to fall just short of a goal. You learned to pick yourself back up, dust yourself off, and get back out there. You learned that failure in running is usually just a temporary setback, one that will make your eventual success that much sweeter. There's no magic moment when your inner runner emerges. You put in your time on the pavement and then one day you wake up and realize a transformation has occurred. Somehow, between the tough runs, the early mornings, the long runs, and the hills (the hills!) you became a fighter, a pusher, a go-getter. You are now the person that won't give up, that won't accept any less than the best, in running and in life. You've been transformed. Thank you running. 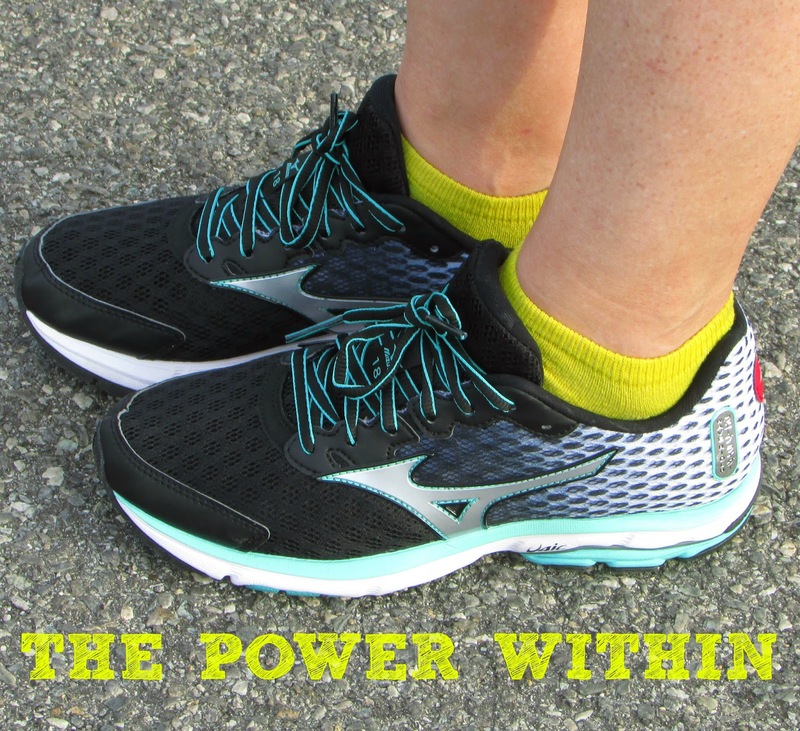 You can learn more about the transformational power of running at www.mizunorunning.com. How has running transformed you? Do you love Mizuno like I do? Will you try the Mizuno Wave Rider 18? So glad you like these shoes.. I am running in Wave Creations and just updated from the last model. Im a walker not a runnner and yet? I STILL COVET. I've never worn Mizuno shoes but I do love that purple design on the back. I know you are not supposed to pick shoes based on color but we know we all do right? I used to run in Mizuno, they are awesome shoes! Running has transformed me into the person I am today! I need it! I love this. Running has definitely transformed me into many different things and helped me find strength that I didn't know that I had! And I love fall running. These Mizunos look great! Yep I actually have an older version of Wave Runner and am needing new ones. I love Mizunos and have not looked back at another shoes since I started wearing them. Running has made me brave. It gives me my own confidence when out running, that I have not had before, I am able to let things go and just be me and do what I want, without worrying what others think or expect. I love this! And I love those shoes! I used to love Mizunos! I'm glad they work so well for you girl! Cute shoes! I used to love Mizunos, but their recent versions haven't worked for me. Glad that they are working for you! I have to say my first love are Asics but running HAS transformed me into someone I never thought I would become. It calms me, destresses me and allows me to fellowship with my fellow running girlfriends. I love being outside and just running....its transformational. Great review! ASICS were my first love and Mizuno has been the brand I cheat on them with. I go back and forth between both brands depending on the distance. I love everything about this post. I too believe powerful things can happen while wearing a running shoe. Love this! 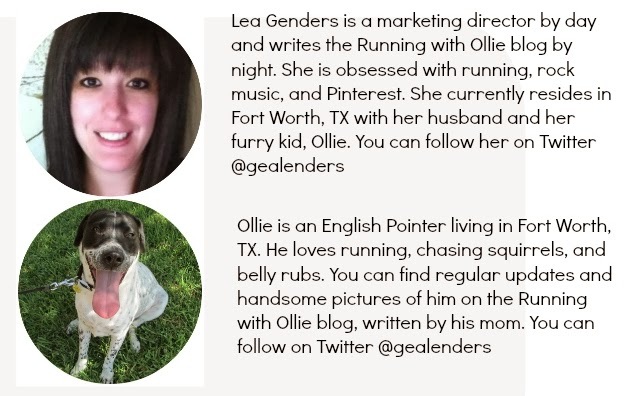 Running is so transformative, in so many ways! Such a great post! Yes, running changes you in so many ways! I've been running for 25 years and I know that I would never have become the confident woman that I am if I hadn't started running. And yes, I love the Wave Riders. Been wearing them since version 15. 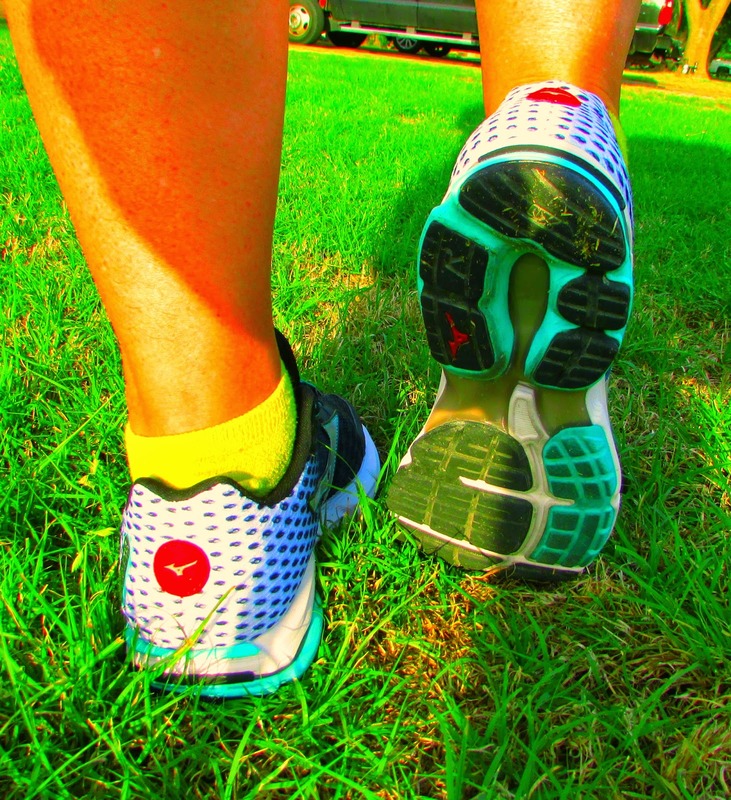 I am a Mizuno running addict and I LOVED the updates to the 18. Not to mention they are really cute.